Would you like to see what the other Stuck?! Sketches girls designed for today's reveal? Hop on over here and be prepared to be inspired - BIGTIME!! 1- Big Picture Classes is offering a $30.00 gift certificate to one lucky participant. 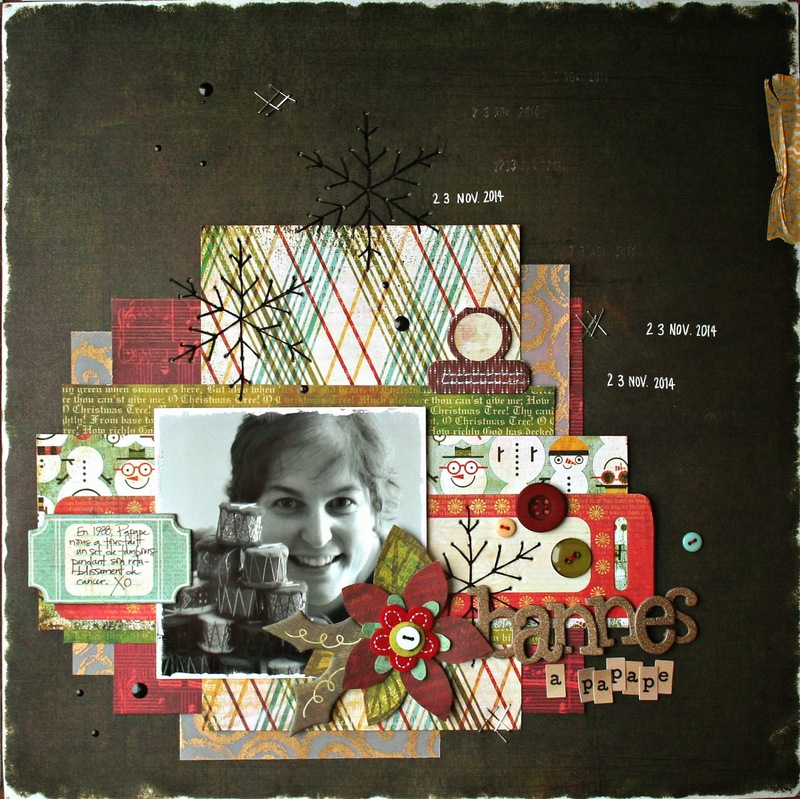 In order to win this prize you must play along with both the sketch and the Scrap Around the World mood board. When linking up over at Stuck?! Sketches, put SATW after your name so we know to include you in the draw. 2- My Scraps and More is giving away a $15.00 gift certificate, and anyone that plays along with the Stuck?! 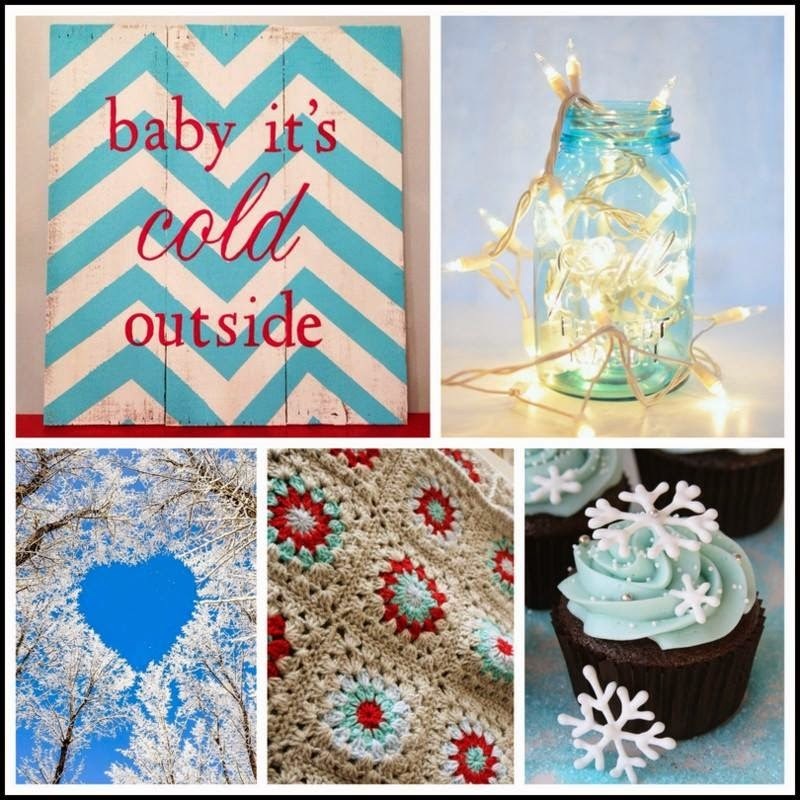 Sketches December 15 2014 sketch challenge is entered into the draw for this prize! Hello, everyone! I am SO excited to be part of the Challenge YOUrself design team!! Like so many of you out there, I am often the one behind the camera, taking pictures of my family's everyday lives. But with this scrappy blog, it's all about including myself in the photos so that I can tell MY story. LOVE IT! Would you like to see what the other Challenge YOUrself gals came up with this month? Head on right over here and see for yourselves how important and neat it is to scrapbook about YOU! Furthermore, if you link your own design using this month's theme (and including yourself in the scrapped photo, of course!) and link it to today's reveal over at Challenge YOUrself, you'll get a chance to win an awesome prize - a $15 e-gift card over at Peachy Cheap! WOO!HOO! Fun pics of Louis-Olivier with some of his cousins during a great afternoon at my sister's pool during our Summer vacation in 2011. Used tons of Basic Grey's Oliver collection on this one (patterned papers, brads, chipboard elements and chipboard alphas), set on a Basic Grey Hopscotch background patterned paper. Also dashed some Tattered Angels Glimmer Glaze on there with some old Dollarama rubons I inherited from one of my sisters, some Making Memories staples, and some stitching using my Tim Holtz ruler and some good ol' DMC floss. Wanna see what the other Stuck?! Sketches girls came up with? Head on right over here and be prepared to be amazed! Submit a design for this sketch on the Stuck?! 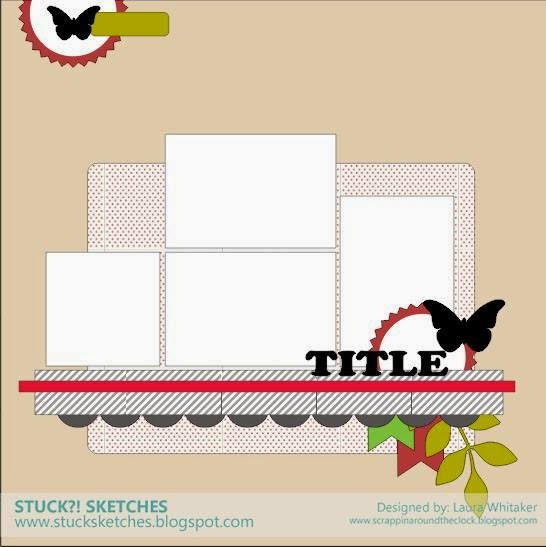 Sketches blog and get a chance to win some cool prizes - a $15 gift certificate from Linnie Blooms and two large pieces of chipboard from Scrapmatts!! Woo!Hoo! Don't forget, Stuck?! Sketches is hosting a Guest Designer call! If you are interested in applying for the call, please link up a layout with us and include GDT after your name. It is that simple! The team will be choosing the guest designer, possibly with some help from random.org if there is a tie. The winner will be contacted at the end of November and will be playing along with our January 1st sketch!!! (Blog owners will be given preference.) Watch for another GDT call during our December 15th challenge!